Had to make a quickie to WallyWorld today and while there I grabbed some romas, cilantro, penners, sweet ownyawn and minced garlic. Threw all of it together for my morning breakfast tacos but if that store down the road has some dipping chips it may not make it till breakfast. Shelf life ain't all that good but the freshness is to die for. That green bowl is an "original tupperware lettuce keeper" that a good looking tupperware lady sold me years ago and I keep it around in memory of HER. Re: Salsa a la Pico de ? 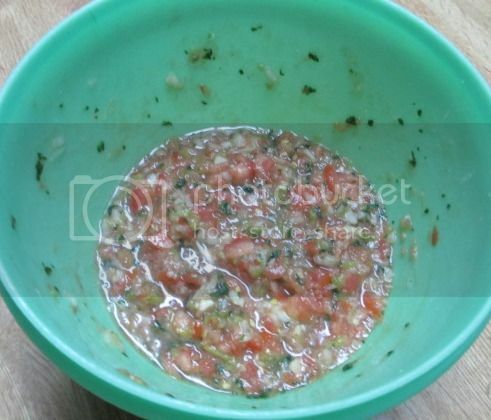 Fresh salsa is hard to beat.